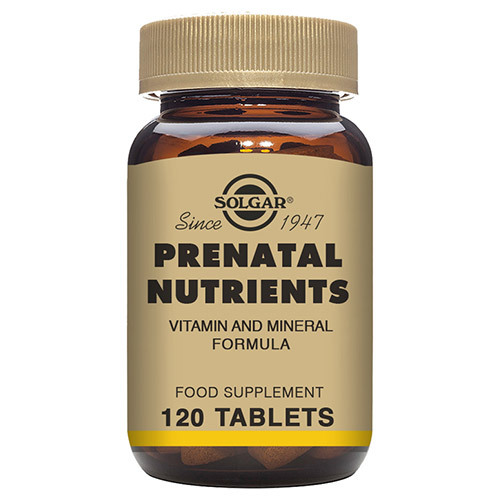 Solgar® Prenatal Nutrients unique proprietary formula provides 100% of the daily value of most of the essential vitamins and minerals for pregnant and lactating women. 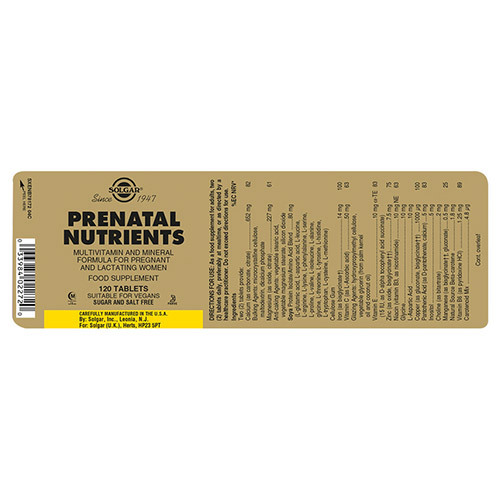 Nutritional requirements dramatically increase during pregnancy and when a woman is breast-feeding. 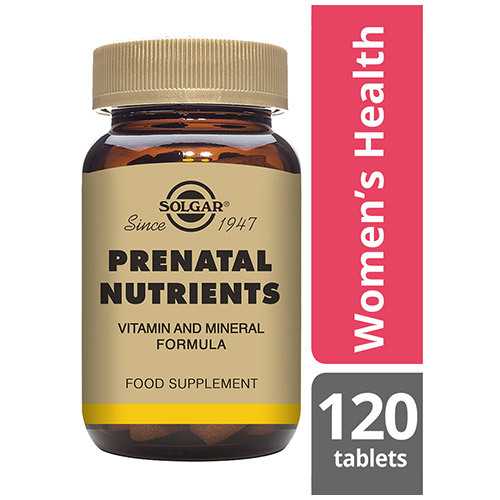 Good nutrition and lifestyle habits promote normal weight gain in the growing foetus and positively influence the progress and outcome of the pregnancy. 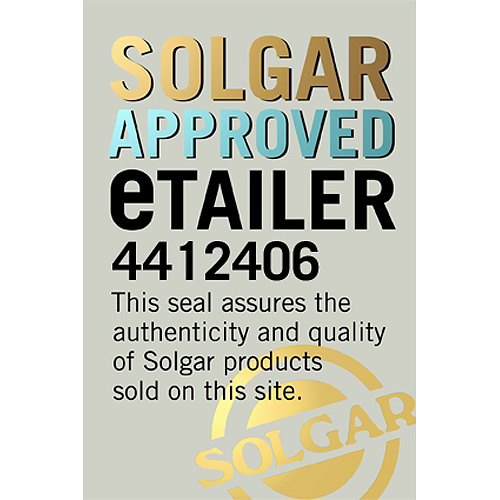 Also contains: Bulking agent: microcrystalline cellulose, Cellulose gum, Anti-caking agents: vegetable stearic acid, silicon dioxide, vegetable magnesium stearate, Colours: copper complexes of chlorophylins, titanium dioxide, vegetable glycerin, Glazing Agent: hydroxpropyllmethyl cellulose, vegetable glycerin. 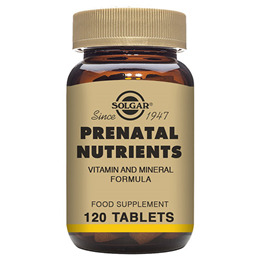 Below are reviews of Solgar Prenatal Multi-Vitamin and Nutrients - 120 Tablets by bodykind customers. If you have tried this product we'd love to hear what you think so please leave a review. Great mix of vitamins and minerals from a trusted source.